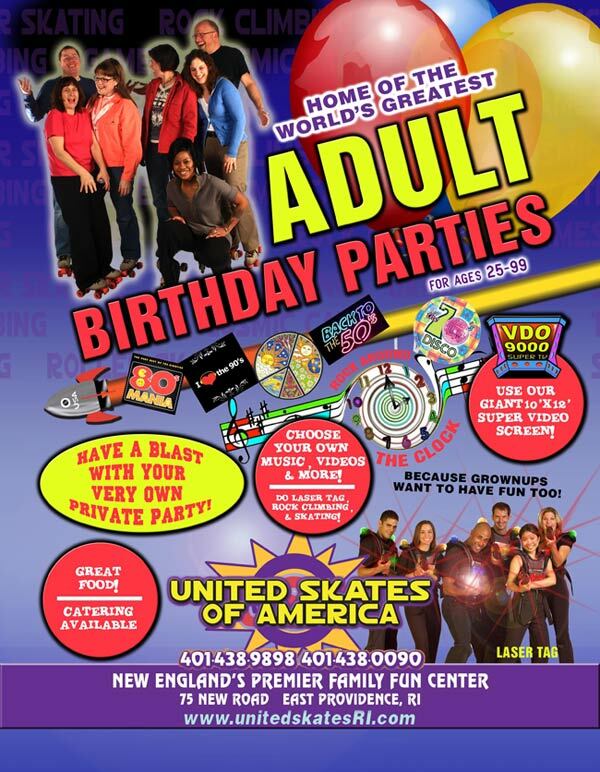 United Skates has a great plan for adult parties. 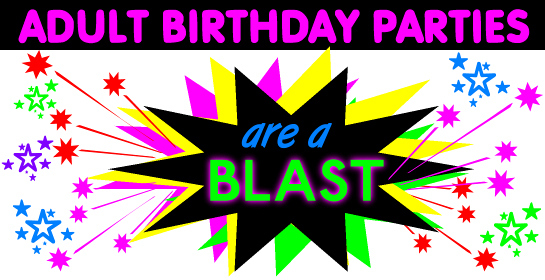 The whole place to yourself for your next birthday. 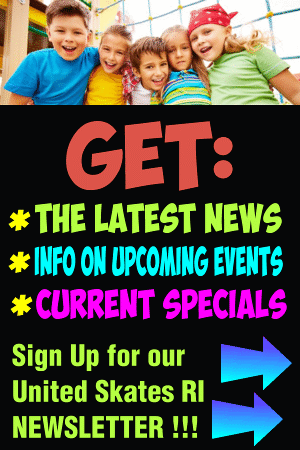 All the activities for you and your guests. Your music, your theme, our execution. 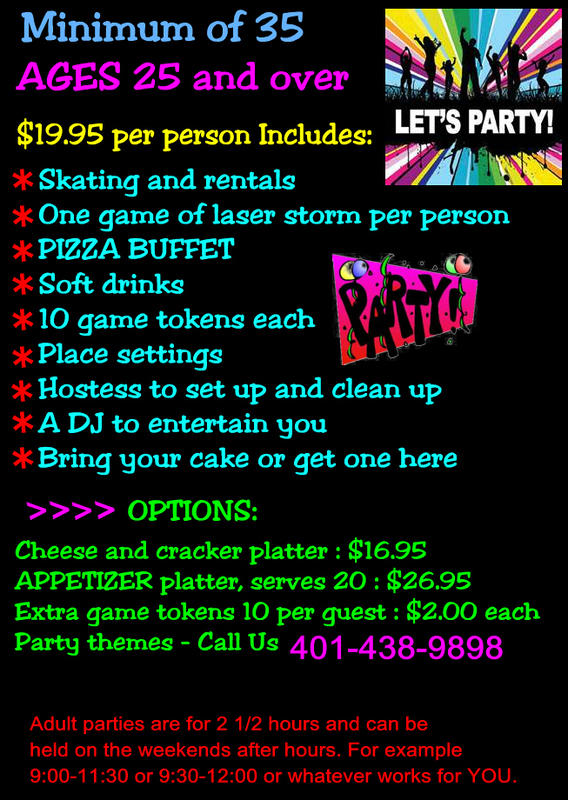 Plan a custom night of fun for your adult guests and we’ll make it memorable. After all, you only turn 39 once. Be a kid again, with skating if you like, laser tag, rock climbing, or dancing to the oldies. You pick the music, the theme, the activities. Planning is easy. Give us a call and we’ll take it from there. Flexible times and days to fit your needs.